Here’s a fun game; instead of trying to list your top ten films, try to make a list of half a dozen short films that were game-changers. I played this for an hour last night but only managed four until I had to look up more. Thousands of short films are written and produced every year, but they mostly act as calling cards for writers/directors, and because they need to show what can be achieved on a budget many favour style over substance. It’s a form Europeans are especially adept at creating. In the last few years the British Academy have honoured some remarkable short films, but locating them now is often tricky. When I was growing up they often appeared before the main feature (a short film from one of my own stories, ‘Left Hand Drive’, went into cinemas and won awards). Thinking back over the ones that left an impression on me, I’ve picked out these, which are all readily available, but there are many others. What are your favourites? This was the one everyone of my age saw. 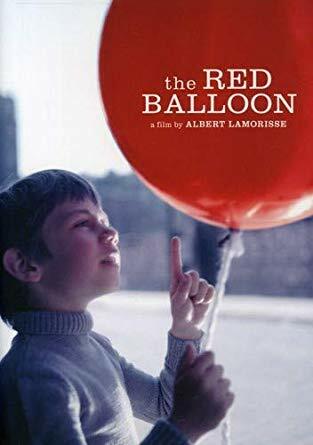 Albert Lamorisse directed the adventures of a boy who befriends a seemingly sentient balloon and follows it through the streets of Paris until tragedy strikes and a euphoric, fantastical ending uplifts the tale. Aargh! That opening! Bunuel and Dali! This silent 1929 short made according to surrealist principles includes some of the most memorable images ever filmed, but it’s that razor-tango-moon-eye opening that you have to survive first. I saw it at school around age eleven and the boy next to me passed out. Peter Greenaway’s 28 minute film about the order of humankind conquering the chaos of water was shot in a public swimming pool for pennies and builds to a terrific climax. 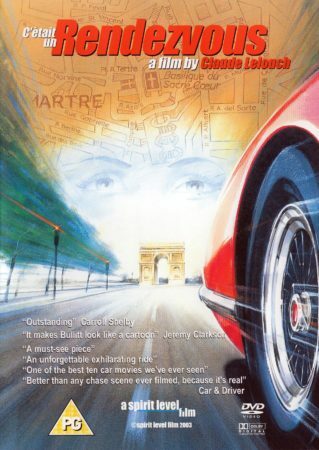 Claude Lelouche drove the car in this hypnotic race through Paris first thing in the morning. It’s shot in real time and there were some real near-misses, with just one man on the ground to prevent a crash. The result is both terrifying and exhilarating. Watch it with commentary to see how hair-raising it was. The title is taken from the notorious Nacht und Nebel program of abductions and disappearances decreed by the Nazis on 7 December 1941. The film was shot entirely in the year 1955 and is composed of contemporary shots of concentration camps and stock footage. Director Alain Resnais found the film very difficult to make because of its graphic nature and subject matter. Short, monochrome and composed only of stills, this is a 1962 French Left Bank science fiction featurette by Chris Marker constructed almost entirely from still photos, and tells the story of a post-nuclear war experiment in time travel. It became the basis for Terry Gilliam’s film ’12 Monkeys’, and works brilliantly. A girl arrives for her coffee in a cafe where everyone is behaving very strangely. When one of the customers starts singing it seems we might be in a musical, but then the spectre of terrorism rears its head before the genre twists again and we find it’s about something else entirely. All in eight minutes! An American entry from 2016 showcasing the acting of Jim Cummings, who brilliantly plays an emotional cop at his mother’s funeral – to say any more would spoil it. I remember the Red Balloon. An echo of wonderment tinged with sadness in childhood. If animation counts (?) then I would vote for Len Lye’s work for the G.P.O. Rendezvous is as much fun for the decades of misinformation on how Lelouche made it, as for its actual content. One of my favourites. Wasn’t there a spate of French Canadian short films for children in the 70s/80s? Might just be my recollection, but there did seem to be a lot of them at around the time we were desperate enough to watch anything that was on telly. They were all a bit inexplicable to me, but one of them did stick in my mind. A boy who lives somewhere where it only stops raining for 5 minutes or so in a year (or ever, I don’t remember) gets locked in a cupboard at school and misses the sun coming out. I think I only remember it as it’s THE most miserable film in the history of film. Shameless Commerce Dept:–Congratulations on Stasio’s review in NYT. In time for holiday shopping. Canadian, Polish and Channel 4 shorts were often dreadful. I may post a few more good ones, though. Rendezvous is a genuine and total petrolhead film. Wonderful to be able to come out and say (instead of admit) how much I like it. I also have pleasant memories of Le Balón Rouge. I’d agree about Len Lye. Add the GPO film unit’s Night Mail. Humphrey Jennings has to be in somewhere: I choose The Silent Village, but you can make your choice. Another one where listing ten films would solve the problem. Stefan & Franciszka Themerson’s The Adventure of a Good Citizen. Yes, they are Poles. Cocteau’s Le sang d’un poète It could go on a double bill with Un chien andalou. W.C. Fields in The Fatal Glass of Beer. The – deliberately – cheapest, least convincing production values of all time but worth it to hear Fields announce “It ain’t a fit night out for man or beast” and “Reckon I’ll go and milk the elk.” and…er…sing the title song. Richard Burton – the film you’re thinking of is an adaptation of Ray Bradbury’s All Summer in a Day. I remember seeing it at my primary school in Australia. If we’re allowed animations Bob Godfrey’s “Great” (the life of Isambard Kingdom Brunel) and the infamous “Kama Sutra Rides Again”. Well that comment failed to post! Let’s try again. Zdeněk Miler’s ‘Mole’ used to crop up at odd times, I suspect that they were used to plug holes in schedules when other bought-in programmes under-ran the 29 minute slots that the BBC used. Not movie related: received today, my lovely Kindle copy of Bryant and May: Hall of Mirrors. Sorry; posted too soon. I’m still reading this blog from the earliest entry, and am still in 2014, where I found Admin’s recommendation for Frank Baker’s “Miss Hargreaves” – a wonderful read. As always, thanks for the many incredible detours you give us to explore. Canadian films were mostly from the National Film Board. One cartoon was Neighbours about two men fighting over the fence between their houses. It escalates to the ending you can imagine. One that I ran across and wanted to see over and over for its calming effect was Sky, showing the changes in a prairie sky over the course of a day. Neighbours was by Norman McLaren, Helen. Another one who began at the GPO. Don’t know if they’re still available, but a lot of McLaren’s films were on BFI. John Feeney’s Sky is on the net too. Thanks to Iain Triffitt for giving a name to my short film memory! Thank you, Roger. I couldn’t quite believe Chris saying that Canadian shorts were generally bad when McLaren was in there producing all sorts of wonderful things. There was a catalogue we could order films from when I was teaching – before Netflicks, Utube or anything else. Perhaps they’ve put the whole back catalogue out there for the world to see. Try The Log Driver’s Waltz – song by Wade Hemsworth and sung by the McGarrigle Sisters (that version is best) Also by Mr Hemsworth The Black Fly Song which should be dedicated to everyone who ever served on a summer survey crew in the Canadian bush. My sister took me to see that when I was little. I still like it.